Darci is a 1992 graduate from Cheylin High School in Bird City. She attended McCook Community College and the University of Nebraska at Kearney. Darci and her husband, Kale, along with their three children, Austin, Andrew and Ashlyn, moved back to Bird City in the summer of 2008. 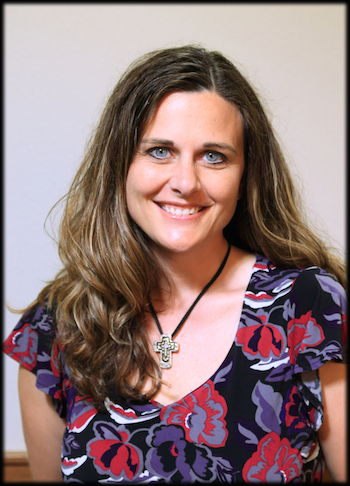 Darci started working for the Foundation in September 2008 as Administrative Assistant to the Executive Director. In March 2015, Darci had the opportunity to transition into the Foundation’s Director position. Darci enjoys being back in her hometown and loves having her kids grow up in the rural, small-town atmosphere. She is actively involved in the community and serves on local non-profit boards, including the Tri-State Antique Engine and Threshers Association and Cougar Cub Daycare. Darci knows that it takes people to step up and volunteer their time, be hands-on and pro-active to keep progress moving forward in any community, but feels it’s especially vital for rural communities. Carol is a 1984 graduate from St. Francis Community High School. She attended Bethany College and graduated from Kansas State University majoring in mathematics and journalism education. Carol and her husband, Douglas, moved back to Cheyenne County in the fall of 2012. Her stepdaughter’s family (Karen, Rheilley, and Rachel Knauer) followed them from Denver shortly after so that Rachel could start school in a small town like her grandma Carol rather than in the big city. She worked for Cheyenne County Hospital for several years in information technology / grant writing and then for Cheyenne County as a grant administrator. In May 2017, Carol joined the Foundation as a grants coordinator. With roots firmly established in Cheyenne County, Carol loves serving her community. She feels it is important to use her talents to help sustain the way of life for citizens in northwest Kansas. While working for Cheyenne County, she helped raise more than $1.7 million from 2015-17 to help improve the quality of life for people living in Cheyenne County. She also feels that people living rural areas have to find creative and unique ways to overcome challenges – and that means working together and thinking outside the box. GNWKCF relocated to a new building in Bird City as of December 2017: 105 W. 4th, P.O. Box 593, Bird City, KS 67731. New phone number is 785-734-2406. Read about the new office: CLICK HERE.